Bradley Cooper took home his first Grammy award at the 61st annual awards for best pop duo/group performance for “Shallow," his duet with Lady Gaga from his movie A Star Is Born. But Bradley wasn’t there. Instead he was in England at the BAFTA Awards (think Brit Oscars), where A Star Is Born was up for seven awards and took home one for best film music. The Grammy was the second prize Jenkintown’s Cooper, whose lack of a best director Oscar nomination has been considered one of the big snubs of the season, took home for the night. Even in Cooper’s absence, Gaga performed a wild version of “Shallow," with cowriter Mark Ronson on guitar. 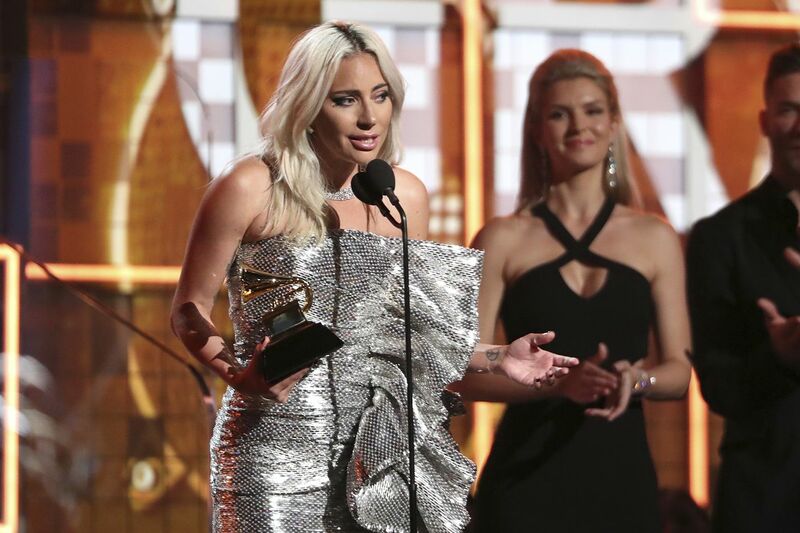 Before the broadcast, “Shallow” (but not Cooper) won for best song written for visual media, with songwriters Lady Gaga, Mark Ronson, Anthony Rossomando and Andrew Wyatt taking home the statuette. Alas, “Shallow” lost both song and of the year honors. That instead went to Childish Gambino’s “This Is America," a song that beat another Philadelphian -- Tierra Whack and her “Mumbo Jumbo” video for best music video. While Whack didn’t win, Chester’s own Jahlil Beats won for his production work on Anderson .Paak’s “Bubblin'," which tied with Kendrick Lamar, Jay Rock, Future and James Blake’s “King’s Dead” for best rap performance. Beats has had a prolific career and was an early collaborator with Meek Mill, who gave his old buddy a Twitter shoutout on Sunday.